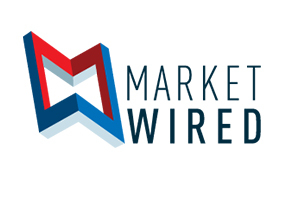 PALO ALTO, CA--(Marketwired - Oct 17, 2016) - CloudMedx Inc. and Mount Sinai Hospital (MSH), NY have announced a collaboration designed to improve clinical outcomes for patients with congestive heart failure (CHF). This collaboration is meant to leverage intelligent predictive insights from CloudMedx in order to identify patients who are at higher risk of CHF and use evidence based care interventions to improve their outcomes such as reduced readmissions and overall wellbeing. Both CloudMedx and MSH are dedicated to realizing high quality, low cost care through intelligent implementations of information technology in the clinical space. The Hospital system wanted to combine evidence based digital medicine technology with a team of remote monitoring experts, therefore MSH is partnering with CloudMedx who will provide an advanced analytics solution that works seamlessly within MSH's workflows. "We are passionate about bringing advanced analytics to the forefront of managing our chronic patients and improving our patient wellbeing," Ashish Atreja, Chief Technology Innovation and Engagement Officer in Medicine at Icahn School of Medicine at Mount Sinai, explained. He also added, "As an industry, we do not have a sufficiently sophisticated tool to predict certain things such as disease progression and resulting readmissions in hospitals. We are working with CloudMedx to use new guidelines and algorithms, using clinical data to determine these risks and predictors. CloudMedx has a fast, scalable platform that can allows us to do just that. We found CloudMedx to be very intuitive and useful. CloudMedx has a robust Clinical AI platform that has the ability to 1) ingest and process large amounts of data; 2) do big-data analytics fast; and 3) perform natural language processing on unstructured notes to surface patient risk profiles in real time. All of this reduces time, effort, and expense drastically." According to Medicare, some 20% of Medicare patients being discharged all across the country get readmitted within 30 days of discharge with an estimated cost of unplanned re-hospitalizations being more than $17.4 billion1. These adverse events occur because of a variety of reasons ranging from discharge plans not being followed to complications as a result of comorbidities or medications. Programs like the one at MSH are geared towards identifying patients who are at-risk for certain adverse events using a combination of clinical and socio-economic data. Once the parameters are analyzed and the relevant patients are determined, the cohort is enrolled in specialized connected health program like HealthPROMISE to help them better manage their condition and symptoms. This initiative is in line with large scale reform programs like the Delivery System Reform Incentive Payment Program (DSRIP), a state-wide, $8 billion effort that aims to reduce avoidable hospital use by 25%. Therefore, one of the main objectives for organizations like MSH is to reduce these costly events across multiple disease areas such as CHF and other chronic diseases. Given the innovative track record of MSH, the use of digital technology is a primary weapon against these occurrences. Specifically, CloudMedx predicts patient clinical risks during their visits, including any gaps in their care that need to be addressed immediately. It also determines which of these patients are at high risk and therefore would be likely to get readmitted within a certain amount of time. These risks can then be countered by custom tailoring treatment guidelines to ensure that patients do not fall sick again. This process reduces waste, expense, fatigue, and time, while improving outcomes and freeing up resources for other patients. CloudMedx is leveraging its large scale predictive algorithms to deliver cross sectional analytics on patient profiles including clinical risks, gaps in care, and certain outcomes. CloudMedx predictive analytics are currently helping health systems stratify, track and improve value based initiatives leveraging machine learning and natural language processing. "Through our clinical models, we can predict who are the high risk patients, would need more follow ups, more hand holding, and more care interventions. Based on these insights, we can equip case managers with insights to follow up with the necessary interventions that ensure a smooth transition for these patients back into their own homes where they would feel more comfortable and safe, yet still be able to communicate with their doctors as they feel necessary. Our tools will keep monitoring their health remotely and trigger alerts as and when the need arises therefore automating this entire workflow for the health system," Tashfeen Suleman, CEO of CloudMedx, said. "This is only the beginning of a very fruitful collaboration." 1 Jenecks, et al. Rehospitalizations among patients in the Medicare fee-for-service program. N Engl J Med. 2009;360(14):1418.